We have a strong history of partnering with brands to help manage successful properties. We are cleared to work with Best Western, Carlson, Crowne Plaza, Hilton, IHG, Marriott, Ramada, and Sheraton. At Regency, we adhere to your brand standards, systems needs, brick-and-mortar expectations, and more. We invest in our brand partners by going to conferences and more. We provide the best service to each property and do our part in making your management as seamless as possible. 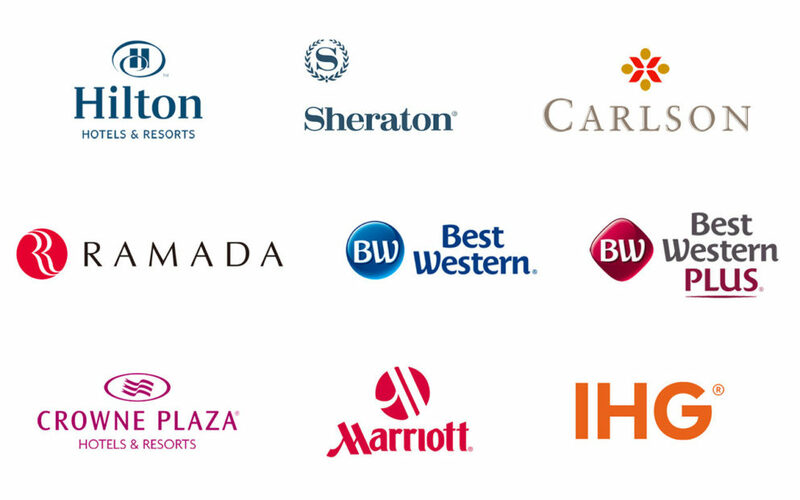 With brands, we find our best asset is through revenue management and hotel operations. These elements help us turn around hotels and make them profitable. We don’t turn away from any tough situation—we embrace and overcome it. We'd love to help your brand and property. Get in touch with us to get started!